You sit down to a nice Sunday meal and the plates start filling, everyone is chatting and smiling and enjoying the company. The roast is excellent, the mashed potatoes are to perfection, and the green beans are good. You hear “please pass the gravy”, and everyone sets the forks down to wait for their chance at a dab of gravy to complete the meal. It was really good without the gravy, but now that you know there is gravy, that becomes your focus and you wait patiently. When it comes to you, you pour a little and pass it on. As you continue your meal, you are content. After, you loosen the belt and sit back with your coffee and reflect. Now the question arises. 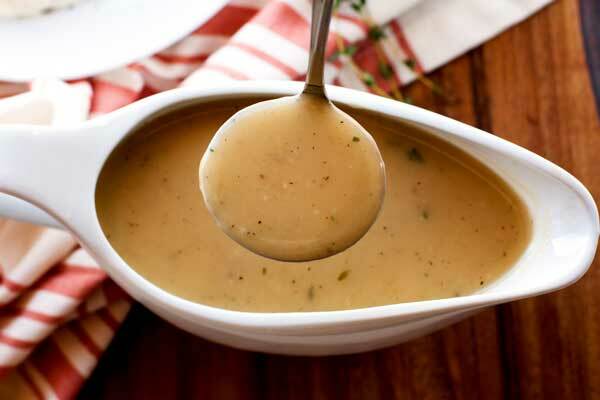 Would your meal be just as satisfying without the gravy? Or, was the gravy the reason you were there? I doubt that anyone would say that they just want a bowl of gravy for dinner. The real meal is the meat and potatoes, that is the substance and the sustenance. Should it be any different in Freemasonry? The philosophy, the ritual, the fellowship, the charity, the self-examination, and the teaching are the substance. The gravy is the awards we bestow upon each other, either as fellows or from Lodge and Grand Lodge. Before we partake in our labors it would be shameful to ask for an award. We shouldn’t take the chair in the East because we want an Apron and Jewel. It needs to be about the Labor, that is where the sustenance lies. We don’t confer degrees with a century pin as the goal, we receive a century pin as the gravy for conferring 100 degrees in an acceptable manner. A very good and worthy Brother recently announced his retirement from Regional Instructor of Ritual Work. He received a prestigious award at Grand Lodge. It wasn’t for spending 20 years as an Instructor. It was for 20 years of service to Grand Lodge, it’s members and officers, Blue Lodges and their members and officers and for the many great tasks that he performed in a most selfless manner. He isn’t retiring from his service to God and his fellow man. He will no doubt continue to serve the Veterans in the VA Hospitals with his Sisters in OES. He will continue to advise and direct those who ask to the proper source and he will continue to be the fine man and Mason he has always been. He didn’t start this journey with an award in mind as a goal. I’m sure that his goal was to serve at his best on all occasions when called. When he received his award at Grand Lodge, he also received a standing ovation in a show of great respect for a worthy Brother. I doubt there was a man or Mason in the state of Pennsylvania who wasn’t assisted by Brother Byrl J. Johnson, Sr., PM, PDDGM in some manner or form. I am a better man just for knowing him and calling him Brother and friend. But, the award is just the gravy. The respect shown was for his many years of labor and dedication. He will be missed as an Instructor but I am rather confident that his successor will be well mentored. Thank you, Brother Byrl. A Mason ought to learn the ritual to his best ability and perform the duties of his obligations each day. He should apply himself earnestly to his Labors without neglecting his many obligations to God, family, and vocation. More experienced Brothers should also be aware of the Brother who oversteps his obligations in order to please the Lodge. The Lodge should not be the top priority in a Mason’s life but should be nonetheless held in high regard. A Mason should make himself available when possible to assist in Lodge activities without prejudicing himself or family. Many times, however, a Brother is content in standing aside while his Brother labors so that another might reap the benefits of those labors. That isn’t what we are about, either. Imagine a Brother pulling a heavy weight alone. Now another Brother stops to assist. If Brother A stops pulling, no gain was made. If Brother A and B continue to pull the work is halved. Now suppose several Brothers show up to assist. The work would get done without much strain. Which method works best? Obviously, the second scenario, but far too often reality shows us the first scenario. The fault, in that case, doesn’t lay upon Brother A who stepped aside, it lies squarely upon Bro’s B, C, D, etc. By the time Brother B showed up, Brother A was exhausted and needed the rest. This can be a real deal breaker for many Brothers. This may be the case when a Brother who was very active just seems to disappear or he resigns unexpectedly. We all need to be aware of when a Brother is trying to do too much and we should be able and willing to assist. The gravy is the rewards that all share, but the meat and potatoes are the substance. The labors are the sustenance of the Lodge and the responsibility of all. This shouldn’t diminish the awards that are absolutely goal oriented such as the Master Builder, Master Craftsman, Master Pillar, or the esteemed Grand Master’s Award. The goal in these cases is certainly to do the labor necessary to earn the award. The fruits of the labor will, however, be the greater award. Pappy, Father, Husband, Brother. Past Master, Mentor, friend. Membership includes Kiskiminetas Lodge #617, Plum Creek-Monroeville # 799, Apollo Chapter OES (PP, WP), Syria Shrine, and MMCI.